Nearly 7,000 infants in the West Midlands are now taught in classes larger than the legal limit, according to new figures. Data from the 2015 school census says 6,877 key stage one (KS1) pupils are being taught in classes containing more than 30 pupils - the statutory limit for children of that age group. This is equivalent to 6.6 per cent of infant pupils in the area - more than one in 20. The number of infants taught in classes containing more than 30 pupils has increased by 1,500 since last year with 5,243 taught in large classes in 2014 - equivalent to 5.1 per cent. 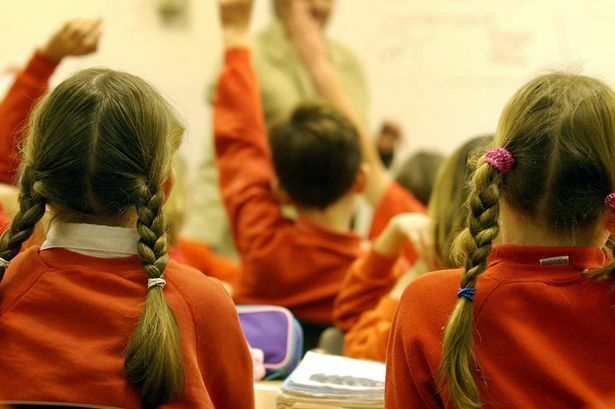 Wolverhampton and Sandwell are two of the worst local authority areas in the country when it comes to the proportion of pupils taught in large groups, the census suggests. In Wolverhampton, 18.2 per cent of KS1 pupils are taught in classes of more than 30 while in Sandwell it is 15.9 per cent. Both of these figures are significantly larger than in 2014. Although there are many schools in the area which have class sizes above the legal threshold of 30, in the majority of cases this does not make them unlawfully large. There are a number of exemptions that can be applied whereby classes can still be considered lawful despite exceeding 30 pupils. Of the 6,877 pupils in classes containing at least 30 pupils in the West Midlands metropolitan area, only 126 are actually in an unlawfully large class according to current estimates. Nationally, the number of unlawfully large classes has plummeted this year from 549 in 2014 to 139 in 2015. However, the number of lawfully large classes has shot up from 2,436 to 3,085. Across the whole of England, 100,764 infant pupils are now being taught in classes greater than 30, an increase of eight per cent compared to the 93,345 in 2014.